Your loyal companion for fun and educational ground handling – also when wind conditions are demanding. THE perfect tool to enter the world of Freestyle. 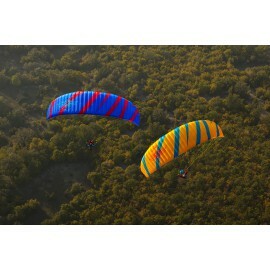 Easy fly-back manoeuvrability and an overall very forgiving flight characteristic make it easy to progress safely. With the experience of Acro-legend Xandi Meschuh we have been able to create an dedicated Freestyle wing passing EN-B with a total weight range between 65 and 110 kg. 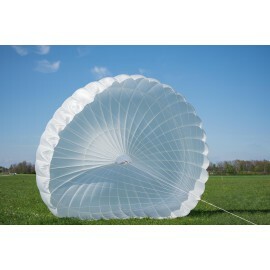 BUTEO XC is a game changer within the paragliding industry. 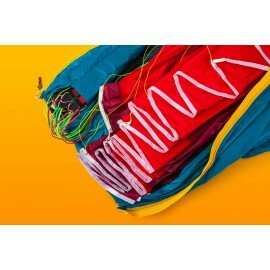 We have been able to incorporate MID EN-B safety with astonishing HIGH level EN-C performance. 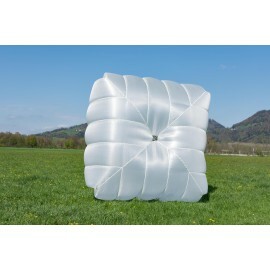 „MUST HAVE“ for packing your glider gently. 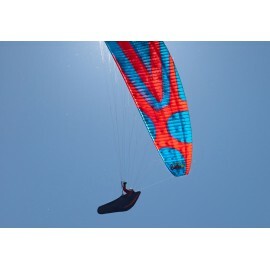 Not only for gliders with mini ribs at the leading edge it brings a huge advantage but also for all other types. 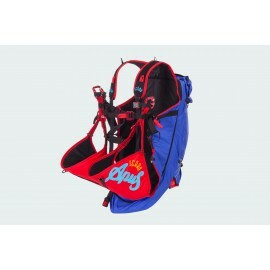 The reliable rescue systems constructed for the extreme case made of selected materials guarantee high safety. 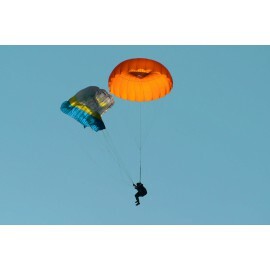 Beside our popular single lite rescues in two sizes with a maximum load of 105 kg or 120 kg, the Lite Biplace offers the same lightweight and reliable characteristics for tandem flights! 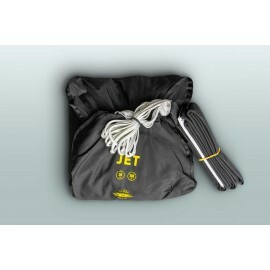 The light weight rescues are extremely popular for many years. 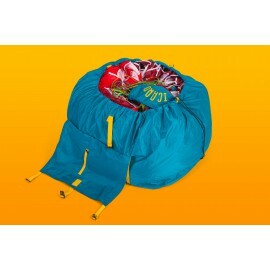 There are two sizes with a maximum load of 105 kg or 120 kg. 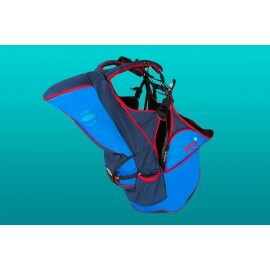 The practical and compact tandem pilot harness was matched to our tandem glider Parus and the passenger harness Batis. 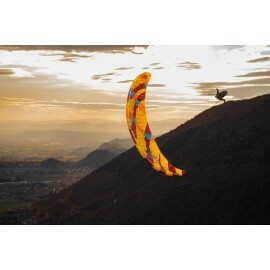 It combines efficient performance and precision with highest safety characteristics.As cross country glider with a distinctive thermal-characteristic it flies right in the middle of the EN-B category. 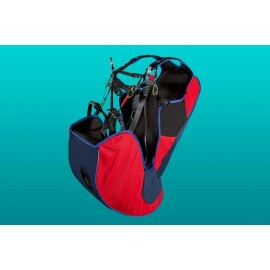 Our ultra-light hike & fly glider, that not only will be a loyal companion on many of your mountain hikings, it will also enrich your mountain flights in every way. Our dedicated freestyle glider.Based on our best thermal profile we were able to combine two worlds: The agility, speed and dynamics of an acro wing and the thermal and handling abilities of a high-level glider. This is tandem glider with shark nose technology. 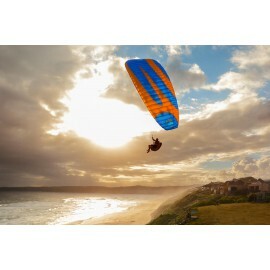 It inspires in two sizes by having an extremely easy starting and landing behaviour, its extremely good handling and remarkable gliding properties. The fifth generation constructed and developed from the Know-How of our professionals. Precision and clarity is the motto. This Acro wing fulfils all your requirements.